It was announced at San Diego Comic-Con that Marvel Television and Freeform have officially renewed Cloak and Dagger for a second season, which will premiere in the spring of 2019. The teen superhero series is based off of the Marvel Comics characters, Cloak (Tyrone "Ty" Johnson) and Dagger (Tandy Bowen). The duo first made their appearance in Peter Parker, the Spectacular Spider-Man #64 in March of 1982. Marvel Television announced their plans in April of 2016 for a Cloak and Dagger series. Marvel Television boss Jeph Loeb announced that Marvel's Cloak & Dagger is coming back for a second season with 10 episodes at San Diego Comic-Con. Stars Olivia Holt (Dagger) and Aubrey Joseph (Cloak) will be coming back to the small screen in the spring of 2019. Even though the show recently premiered last month, it has already been getting great reviews from Marvel fans as well as critics. The exploration of current social issues mixed with the unique way that the series is shot, has been gaining new viewers nearly every week. The first season of Cloak and Dagger is getting ready to wrap up on August 2nd and only recently referenced the larger Marvel universe. While the show has gained praise, it has also been criticized for being pretty slow moving. The latest episode had a mention of Misty Knight from Luke Cage and The Defenders. There have also been nods to Darkforce and Roxxon, previously. This has also led to speculation of a possible Runaways cameo, since the two have met up in the comics before. 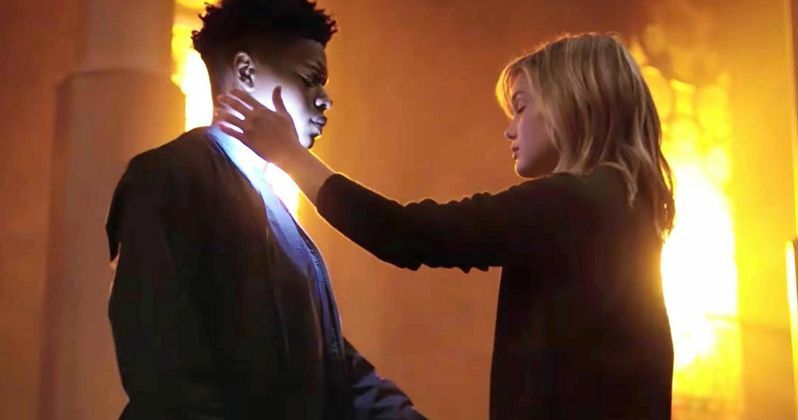 The June 7th premiere episode of Cloak and Dagger was Freeform's best series debut in two and a-half years, earning 4.4 million viewers across all platforms, according to the latest ratings report. Now that the show has been renewed for Season 2 and that it has been slowly mentioning the outside Marvel Universe, excitement for the series will more than likely pickup. In addition to gaining big ratings over the past few weeks, Cloak and Dagger is also one of the most talked about shows on social media as well. At this time, the Marvel TV series has generated over 1.5 million engagements across all social media platforms. Cloak and Dagger Season 2 has been talked about since right before the first episode premiered last month. Showrunner Joe Pokaski has been talking about the possibility of a second season for the last few weeks, stating that he already has ideas planted as for where it can go. Marvel Comics fans are hoping that the recently teased villain, Mr. Jip, will make an appearance in Cloak and Dagger Season 2. The villain is a dark sorcerer and one of the comic's best-known antagonists, so hopefully Pokaski has that in the ideas that he has planted. While we wait for more information about Season 2, you can check out a preview for next week's episode below, thanks to the Cloak and Dagger YouTube channel.